Order column stills from Destillatio.de online. Would you really like to be able to distil many different things? If so, then the welded "CopperGarden®" column still is the right one for you. The boiler of the "CopperGarden" column still is the same as that of a normal alembik, however with an extra wide boiler neck, on which the column can be mounted. You have the option to distil very strongly flavored alcohol without the column - or to use the many distillation possibilities with the column. 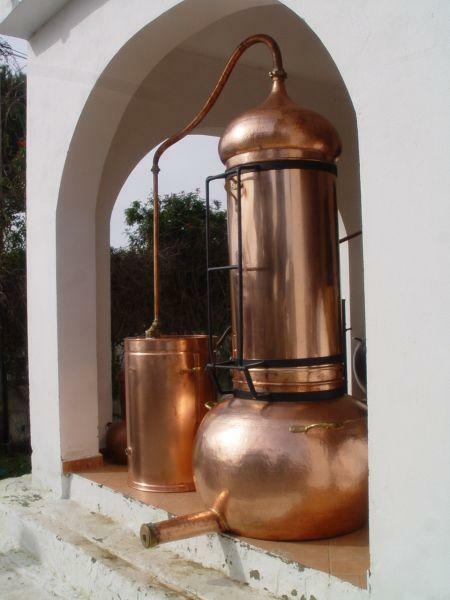 The column still is a multi-functional still and can be used for almost all purposes - for fine spirits, or with the column for high percentage neutral alcohol. Moreover, you can also use the column still for flavored spirits, to flavor alcohol, for the production of essential oils, for distilling fuel, or distilling water.